‘A praying parish is a growing parish ; a growing parish is a praying parish .‘ Please join us in praying for the following intentions this month. 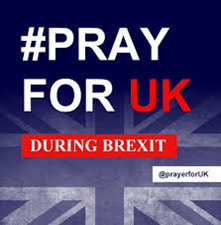 We continue to pray for our country during this time of uncertainty over Brexit. We ask the Holy Spirit to bestow His gifts of wisdom and right judgement on all with responsibility for government in these two islands. We pray for ourselves and those to be received into the church this year that we may prepare to celebrate worthily the Feast of Easter. We ask Jesus to strengthen and console those persecuted Christians who cannot celebrate with us. With Pope Francis we pray for doctors and their humanitarian collaborators in war zones who risk their lives to save the lives of others. 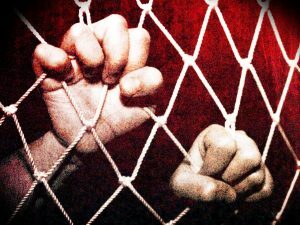 We pray for those enslaved, trafficked and abused that the precious Blood of Jesus may set them free. We pray for a greater appreciation of the reverence due to Jesus expressed in the way in which we acknowledge His Presence in the tabernacle. 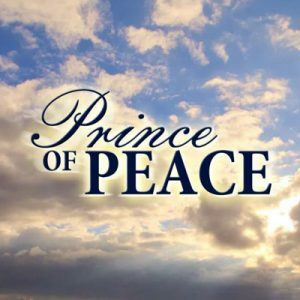 We ask for the gift of silence to enable us to listen as He speaks to our hearts. Thank You for hearing our prayers. Amen. Our Father, Hail Mary , Gloria. 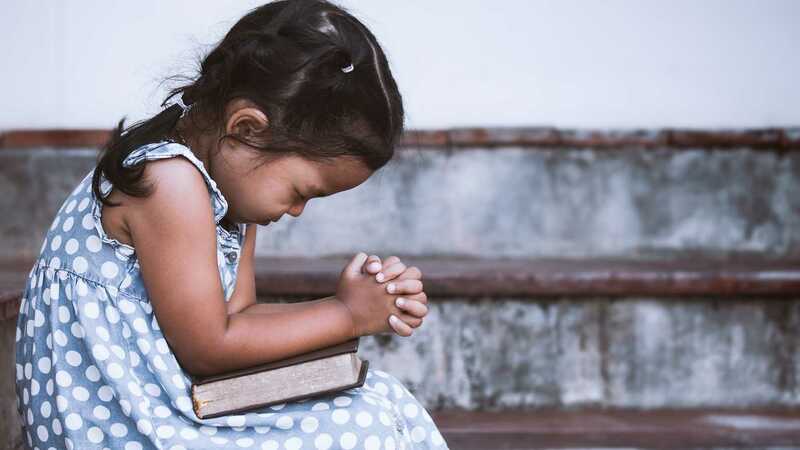 We pray for all involved in the education of the young especially at primary level; that catholic parents may be active partners with schools in equipping their children with a firm grounding in the faith. By their example may they encourage in their children a commitment to follow Jesus. As new laws come into effect we pray for the protection of the unborn, for appropriate help for parents in difficulties, and for respect for the right to conscientious objection for medical, nursing and ancillary staff in our hospitals and community health services. We pray to the Holy Family for an end to the eviction of families from their homes and for a commitment to justice on the part of our public representatives so that all may have access to adequate housing. 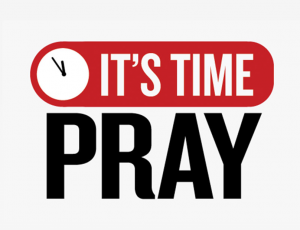 We invoke the Holy Name of Jesus to protect our families, communities and country from adversity during this New Year. May Mary, the Mother Of God and Queen of Peace intercede for us that a solution may be found to preserve economic stability, peace and harmony following Brexit. We pray for our Bishop Thomas, Bishop Emeritus Michael and all our priests. May the example of their holiness, wisdom and courage deepen our relationship with the Lord. We pray for our country that the Brexit agreement may work to the advantage of people on these islands; and that all politicians will endeavour to preserve economic stability, peace and harmony. May all families use Advent to prepare by prayer, Mass and the Sacrament of Confession to celebrate the real meaning of Christmas. Help us to be patient, kind and thoughtful to one another over the Christmas season. We pray for those for whom the dark winter days are long and lonely; for those who have been bereaved or separated this year; for migrants and those who have become homeless or lost their jobs; for the sick and those suffering from depression; for those finding it hard to make ends meet; that they may be aware that the local community is there to support them. 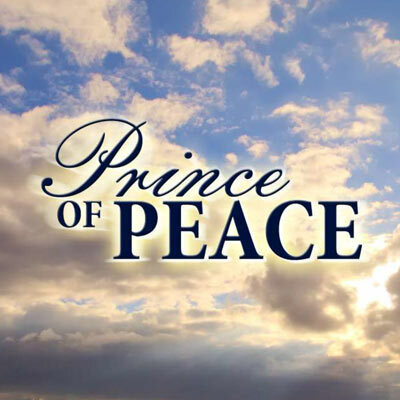 We pray that Jesus, the Prince of Peace may hear our prayers for those who, because of war, disaster and persecution, cannot celebrate the birth of Christ this year. With Pope Francis we pray that the Holy Spirit will inspire those involved in evangelisation to speak with wisdom and understanding in language accessible to the conditions of our time. 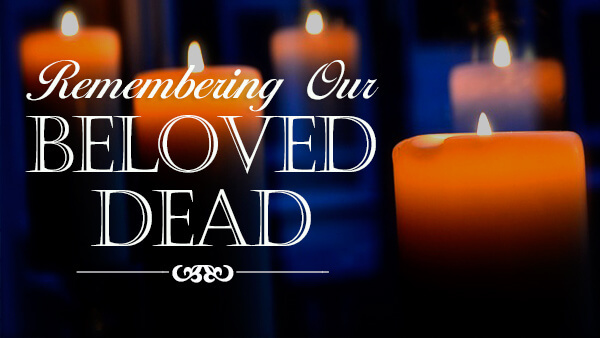 As we remember the holy souls this month, we pray especially for all those who have died tragically through war, natural disasters, accidents, and suicide, as well as those who have nobody left on earth to pray for them. We remember the elderly, disabled, infirm and invalided living in fulltime residential care. We pray that their carers may dutifully create an atmosphere where their physical, psychological, social and spiritual needs are respected. As winter sets in we pray that all road users– motorists, cyclists and pedestrians—show concern for each other in obeying the rules of the road, enabling all to travel safely. We pray for the communities north and south on this island and between Ireland and the UK as negotiations on Brexit continue. May the language of love and dialogue prevail in all discussions. Through the intercession of all the saints of Ireland, we pray for those elected to public office. May they diligently distribute taxes contributed by the people, prioritising the crises in housing, health care and education. For parents who have lost a child. Comfort them in their grief and welcome their little ones into the tender arms of your mercy. As politicians prepare for Brexit, may a solution be found that enables both parts of Ireland to continue to live in harmony furthering the peace process to the wellbeing of all on these islands. We pray for Fr. Fergal as he begins his ministry. May his faith example of service attract other young people to follow Christ for the glory of God and the salvation of souls. For parents, grandparents and godparents: may they teach the children about their Guardian Angels and encourage the children to love them as friends and pray to them daily. We pray with Pope Francis that consecrated religious men and women may be actively present among the poor, the marginalised and those who have no voice. For those suffering from earthquakes, volcanic eruptions, fires, floods and famine; that God in His mercy may move those with resources to come to their aid. For those suffering persecution for faith or conscience or languishing unjustly on death row that our prayers may obtain for them the help they need in their sufferings. We thank God for our new Bishop Thomas ordained on 2nd September. Under his leadership may the practice of the faith in the Diocese of Meath, so well led by Bishop Michael, continue to flourish. We thank God for Deacon Rev. 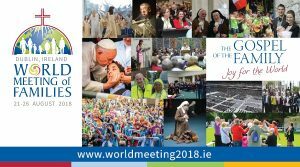 Fergal Cummins to be ordained priest on 30th September. May he be holy, faithful, happy and joyful in his service of The Lord. For children ,students and teachers starting the new academic year and for those entering the workforce for the first time, that they may feel supported and confident in their undertakings. For the return to the faith by those who have lapsed due to past hurts. Through our prayers, example and practical support may rediscover a personal relationship with Jesus who is Love and Mercy itself. For those suffering mental illness that through the intercession of Our Lady of Sorrows they may find the medical and social supports they need. For young people in Africa that they may have peace and access to education and work in their own countries without having to undertake dangerous migratory journeys. For the Pontifical World Meeting of Families that the holy spirit will direct and guide its deliberations so as to promote and support greater understanding and appreciation of the gift of Christian marriage and family life. For our Bishop elect Thomas that he may be a holy, wise and courageous pastor for the priests and people of the Diocese of Meath in the coming years. For those who will be ordained this year that they will be true to their commitment to Jesus Christ who has chosen them for his special friends. May the souls to whom they minister be their joy and consolation here and in heaven. For our country that through the intercession of Our Lady of Knock, our Queen and our Heavenly mother, political and community leaders may walk humbly and act justly before God, while delivering on the urgent needs for housing, health care and education. For our parishioners living alone confined to their homes though illness, infirmity or old age that they may have the companionship of kind neighbours, family and friends and the consolation of the Eucharist as often as possible. With Pope Francis we pray for priests that in their pastoral ministry those who experience fatigue and loneliness may find help and comfort in their intimacy with the Lord and in the friendship of their brother priests. For the re-evangelisation of Ireland through the prayer and commitment of faithful lay Catholics working in all spheres of life, and for which we ask the intercession of St. Oliver Plunkett. For a solution to the problems caused by Brexit and the collapse of the Executive in Northern Ireland, that harmony, stability and peace may prevail for the people of these islands. For migrants and refugees, especially families, that they may travel safety and find security and peace at journey’s end. For doctors and nurses that their right to conscientious objection may be fully respected in all healthcare settings where abortion will be available. For our bishop elect Thomas that the Lord will bless him with holiness, wisdom and courage as he leads the priests and people of the diocese and for Bishop Michael that he may enjoy a well earned peaceful retirement. We thank You Heavenly Father for the food You provide for us and we ask that You graciously bless the land to enable a good harvest. As the holidays begin and families have time off work to rest and relax we pray that we may travel in safety, enjoy good weather and return refreshed. We pray for all deacons and priests to be ordained this year and we commend them and their ministry to the care and protection of Sts. Peter and Paul that they will never waver in their commitment to Christ and to the truth of the Gospel. Lord Jesus as young people sit exams and ponder the career choices open to them may they trust in the help of The Holy Spirit to supply the answers they need to enable them to fulfil Your plan for them. May the young St Aloysius Gonzaga intercede especially for those contemplating priesthood or religious life. 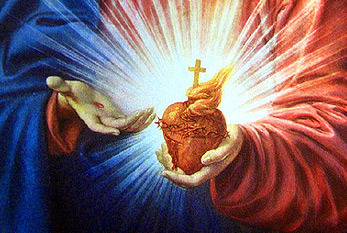 Lord Jesus we ask You to enfold us in Your Sacred Heart. Help us appreciate more fully the depths of Your mercy. Protect us and our country through the outpouring of Your Precious Blood and to help us always prepare to receive your Body and Blood with humble, contrite and pure hearts. 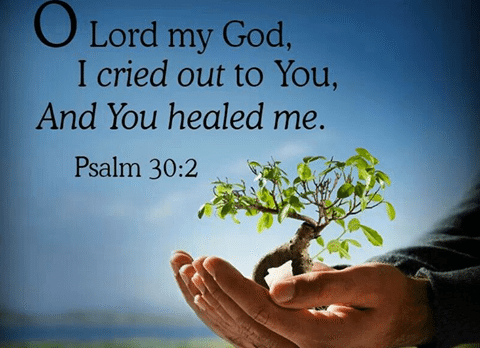 Heavenly Father, Creator and Lord of all beings, we humbly ask You through the merits of Your only Son Jesus Christ Our Lord and Saviour, and for the sake of His Precious Blood poured out for us on Calvary, to spare our country from the evil of abortion. Lord, as students ponder the career choices open to them after school, may they be motivated by a sincere desire to develop their talents so as to achieve their potential in their personal lives and contribute to the well being of their neighbour in working for the common good.